New Facebook Privacy Furor: What’s At Stake? Facebook is at the center of another privacy furor, this one over its sharing of user data with device makers such as Apple, Amazon, Samsung and others over the past decade. The social network acknowledges the data sharing deals, which it says it’s — according to a New York Times report— it has struck with at least 60 device makers since 2007. But it says there’s nothing scandalous about them. The arrangements raise a number of questions, among them whether Facebook failed to get the explicit consent of users before sharing their data. If so, that could place it in violation of a 2011 consent decree with the Federal Trade Commission. Facebook denies it shared user data without consent. These device-maker deals could raise concerns similar to those in Facebook’s recent Cambridge Analytica scandal. That’s where a Trump-connected political consulting firm used data derived from as many as 87 million Facebook profiles in order to sway election results. In this case, however, it’s not clear how the device makers could have abused Facebook even if they wanted to. So far there’s no evidence that phone and tablet makers used Facebook data improperly, in sharp contrast to Cambridge Analytica consultants. Apple, for instance, said it has worked with Facebook for years to let its users share things on Facebook through iPhone and Mac apps. But the report taps into continuing anxiety about the information users give up — and to whom — when they use Facebook. The Times report says device makers received users’ own information, such as email addresses, phone numbers and relationship statuses, as well as data from their friends, sometimes without their explicit consent. A similar practice involving third-party apps on Facebook landed CEO and founder Mark Zuckerberg before Congress during the Cambridge Analytica scandal. Facebook’s 2011 FTC agreement requires it to obtain “affirmative express consent ” before making changes that override users’ privacy preferences. Facebook said it granted smartphone access to this data well before mobile apps became popular, as a way of making its service work on a broad range of devices. Device makers could then build their own software that incorporated Facebook functions. User would log into their Facebook accounts, allowing the phone software to pull in data from Facebook itself. Apple said it used data pulled in from Facebook to let people post photos and other items on Facebook without opening the Facebook app. It ended that practice on the iPhone last September, although similar features persist on Mac computers. In a blog post Monday , Facebook VP Ime Archibong wrote that the company worked closely with device makers to ensure that they only used the data to “recreate Facebook-like experiences” on their phones. He denied that users’ information was shared without their consent. The company recently said it will end these data-sharing agreements as part of a broader review of its privacy practices sparked by the Cambridge Analytica scandal. So far, it’s ended just 22. Facebook, however, hasn’t fully explained why these deals were still in place as of this year, and it’s unclear whether they would have been wound down were it not for the Cambridge Analytica scandal. 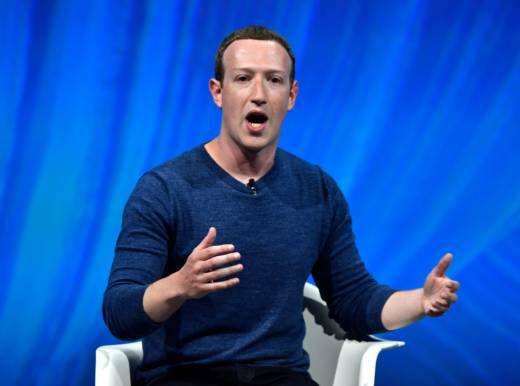 Zuckerberg has recently apologized for the fact that Facebook often didn’t always protect user privacy and didn’t consider how its service could be misused by malicious actors until it was too late. Archibong also said the data agreements allowed phone makers to offer Facebook features on their phones before app stores were popular. Apple’s App Store launched in 2008, as did Google’s app store, then called Android Market.